Terror-Flix on FilmOn gives terror fans the right amount of scares and gore they’re looking for. The channel airs horror films 24 hours a day, so if you need a little scary jolt throughout the day, look no further than Terror-Flix. 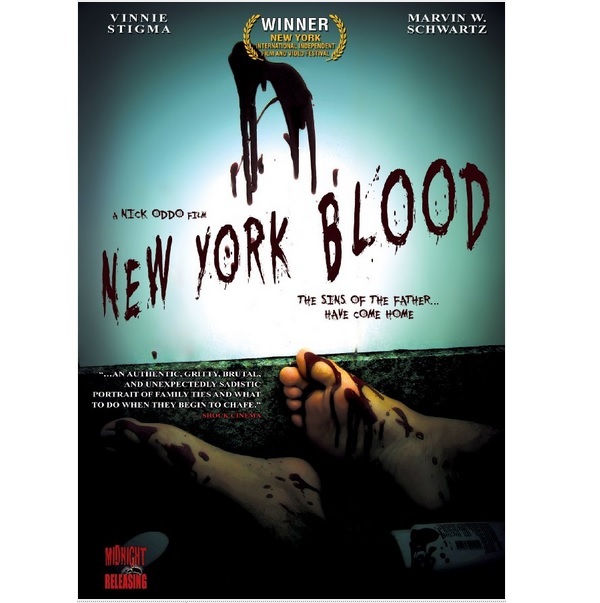 Currently airing on Terror-Flix is the 2009 indie horror film “New York Blood.” The film stars Vinnie Stigma as Vinny, a drug dealing mobster who owns a whorehouse. He wants to take care of his father, Lorenzo (Marvin W. Schwartz), a convicted murderer just released from prison. But when things don’t work out according to Vinny’s plans, Vinny’s penchant for violence, along with Lorenzo’s own sins, combine to create a bloody, gory finale. You can watch this film for free in SD either in the embed below or at Filmon. Or, for a low monthly subscription, watch it in HD with added DVR recording space. FilmOn provides this and other film channels among its other 500+ live channels and 45,000 On Demand titles. FilmOn users can watch all of this along with original programming featuring celebrities, behind-the-scenes and exclusive coverage of high-profile events and more. You can learn more about FilmOn at its site and Facebook page. What do think about Terror-Filx? Give your opinions in the comments section below!